teknician posted a message on Bomb Warrior and what's wrong with it. My opponent drew three bombs in a row after two turns, despite having 15 cards. Nah, it's just you had some bad luck with it. In every match or just 1? Cause 1 match where it happened isn't enough to define the protocol. It's completely RNG dependent. I wouldn't complain about it because that's just the nature of the deck. The idea is to shuffle as many bombs as possible in and beat your opponent down in the meantime. Your opponent might be unlucky enough to draw 4 in a row or you may be so unlucky that the bombs are at the bottom of their deck. For myself, it's frustrating to play against bomb warrior because of this. You're usually in a defensive position against them and since you're on a timer you have to try and beat them before you've drawn too many more cards. In my opinion the worst thing about bomb warrior is Blastmaster. That's up to 16 unmitigated damage + 7 damage from the body. It's a terribly swingy deck. 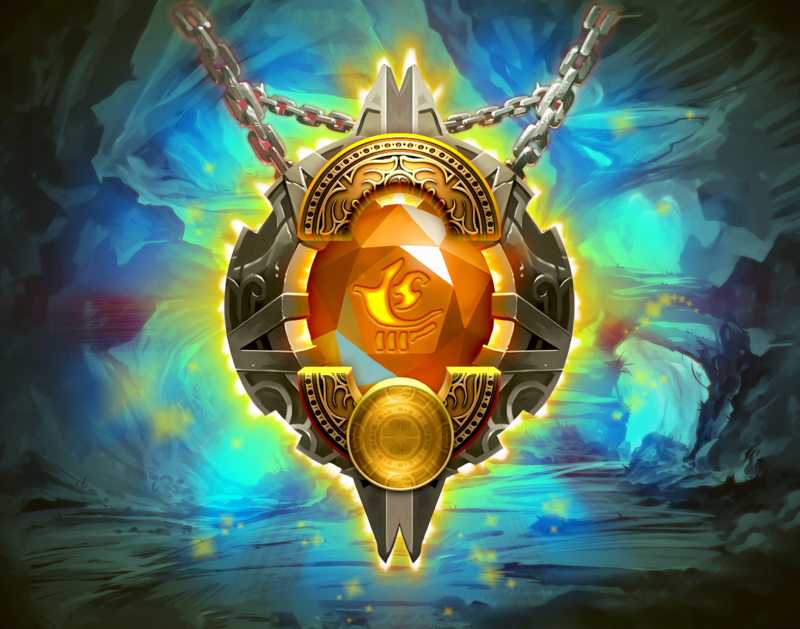 teknician posted a message on RoS Legendary cards, any bad ones so far? Tak Nozwhisker - I have not seen a good use for this yet. The Boom Reaver - why? Barista Lynchen - Haven't seen this used in a game breaking way yet either. Barista Lynchen is a fantastic utility card and is currently underappreciated. 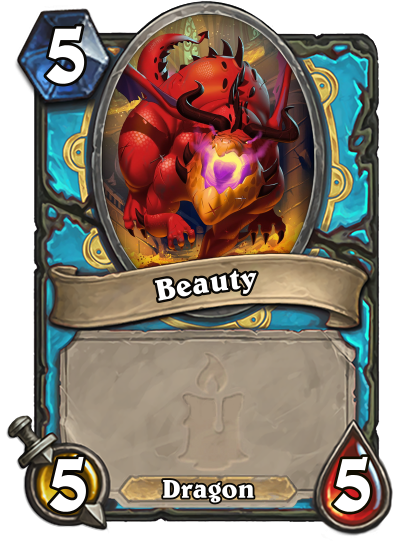 It nets you double value on a lot of cards – because there are lot of battlecry cards across all classes. The Boom Reaver isn't a good idea to put in your deck, but pulling it off Omega Assembly or Delivery Drone can be game changing. 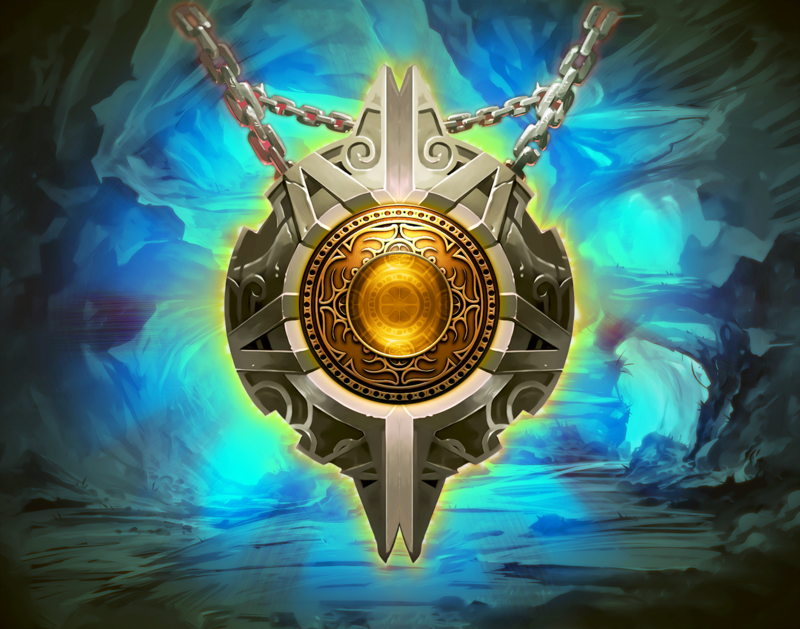 In that sense, it's a little like The Storm Bringer. 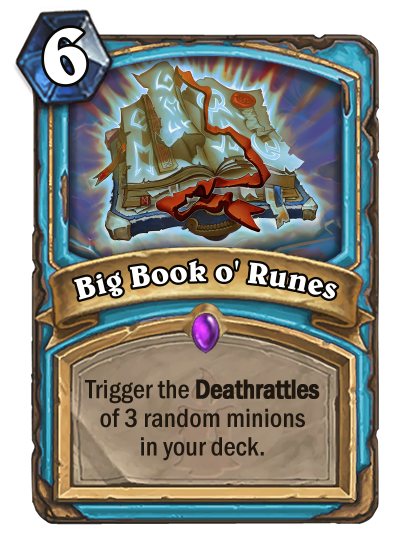 I still wouldn't say it's terrible - With Dr. Boom hero it has rush itself and can be used to double up on big minions. 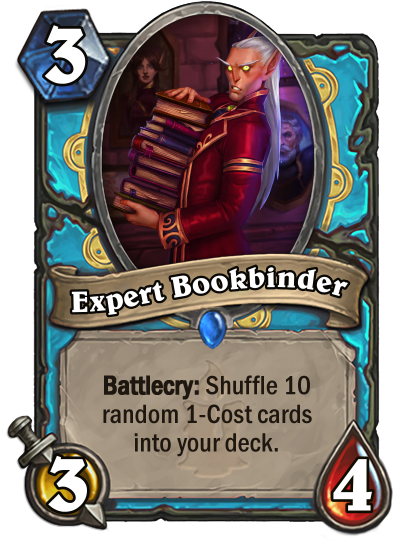 Tak Nozwhisker is a lot of value for Academic Espionage, which is already a fantastic card for value. It lets you see what you're shuffling as well as play two of those cards on the same turn, if you're doing Tak + Prep + Espionage on turn 10. 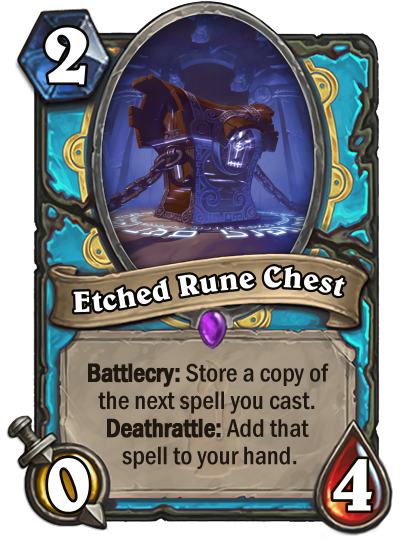 I wouldn't underestimate it especially in a burgle rogue that runs Myra's Unstable Element. Nozari is for sure a very slow card and you're right that it's not a good legendary. 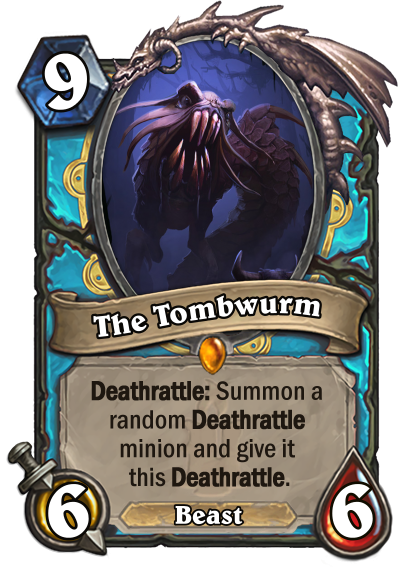 But if you do manage to get to turn 10 against an aggressive deck, it's huge. It's no Reno Jackson though. You're right about Nozari, and with Lucentbark in its current state I think you're also right. Unfortunately this is shaping up to be an aggressive/midrange meta at least in the first few weeks. 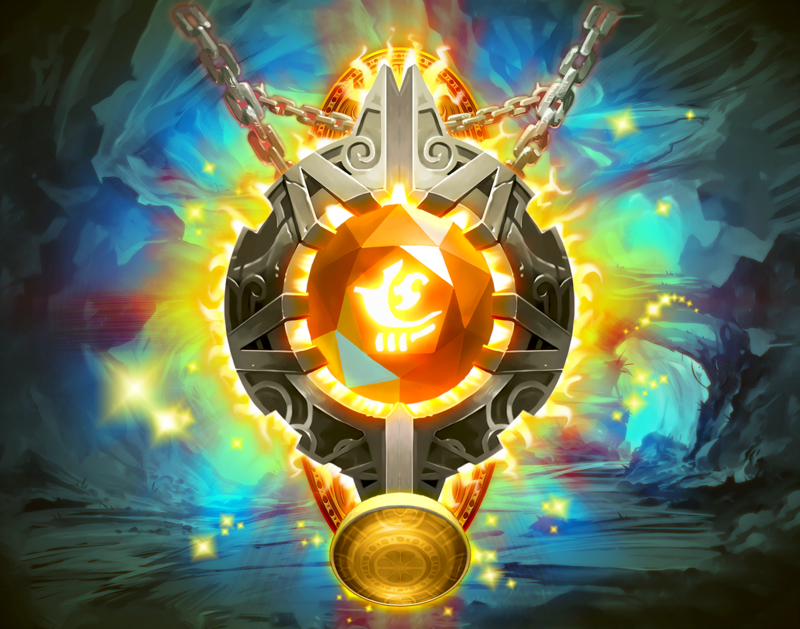 The Orange spellstone art seems to clash with your Ice / Death theme. 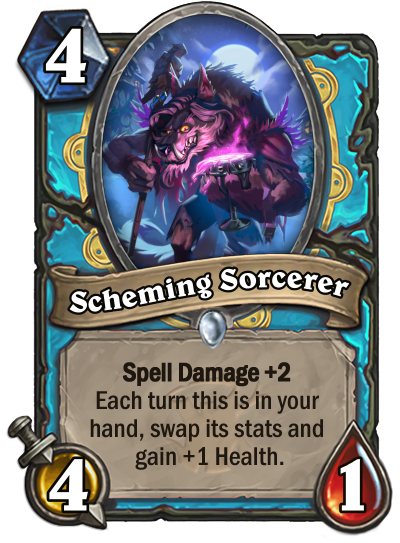 I would use the art that Teknician used. ...please don't? I dunno, if there are two classes with similar looking borders then using the same spellstone art could get confusing. You still can if you feel like it though. I could also say the same about your lunar spellstone, which is red when you've got the name lunar, and the green dream cards. But there's only so much spellstone art around. The latter. It does provide a lot of value, however. 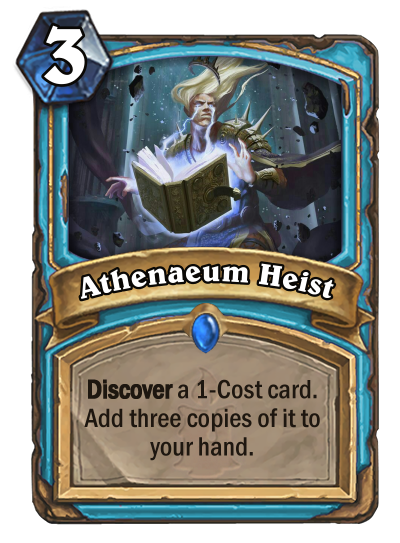 Maybe you should stick to 2-Cost – it even fills in the weakness of having only odd-cost cards. Here's my first run through of cards. I don't have all the cards and I'm trying to solidify my themes so there may be a few cards I end up getting rid of. 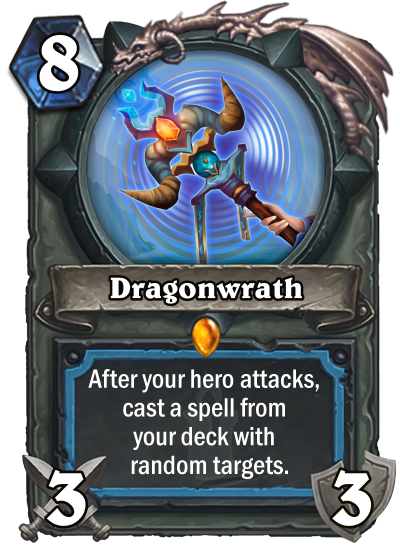 Dragonwrath isn't set in stone, I haven't printed an extra targeted spell or two yet, and the two book spells (Heist and Bookbinder) might be nixed and given over to WW. Hard to say though. 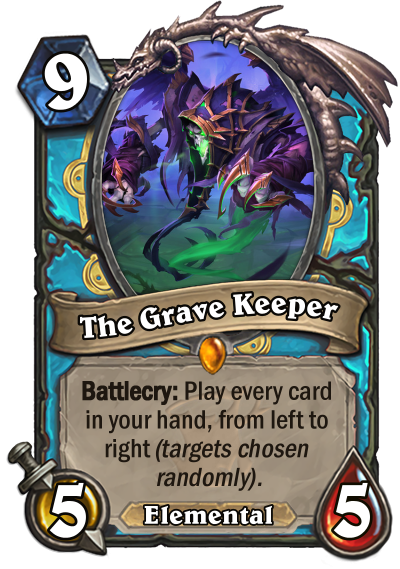 Grave Keeper will probably be slowed down considerably by upping it to 10 and making it a deathrattle. 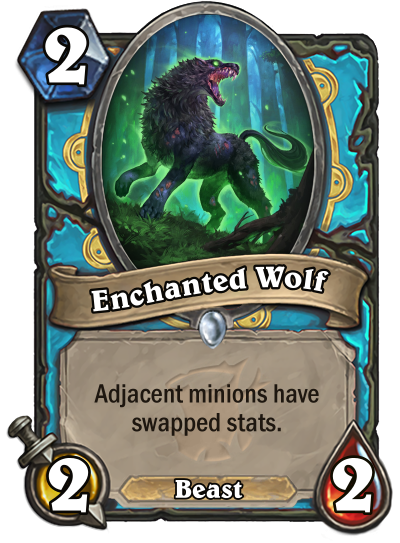 Enchanted Wolf is meant to mirror Dire Wolf Alpha. 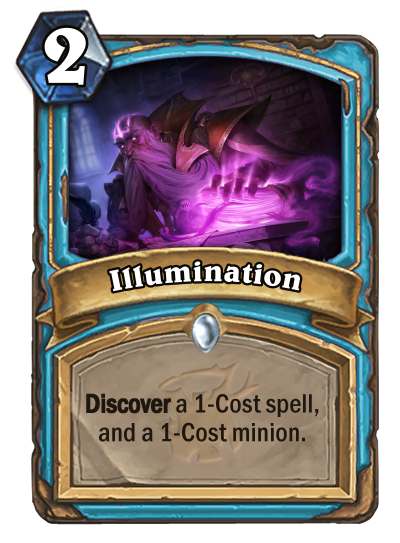 Illumination might get pushed over to another expansion, but I kind of like it. 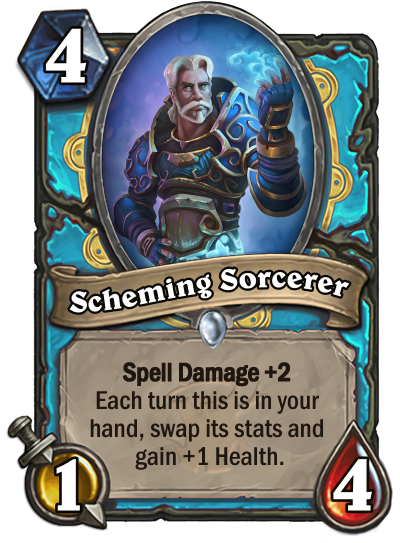 Scheming Sorcerer grows over time, but very very slowly, so I think it's fine. 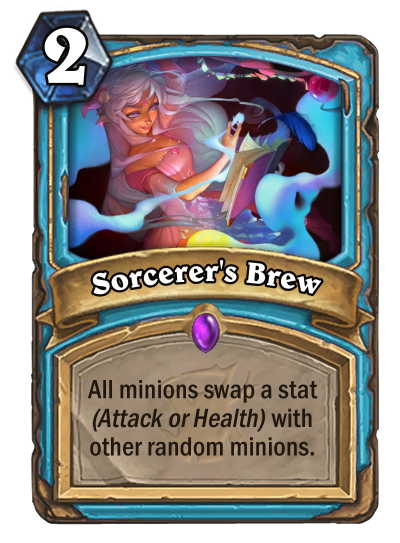 Sorcerer's Brew might be hard to understand at first, but it's basically a minion can swap it's Health with another minion's Attack... and they all do that, independently. 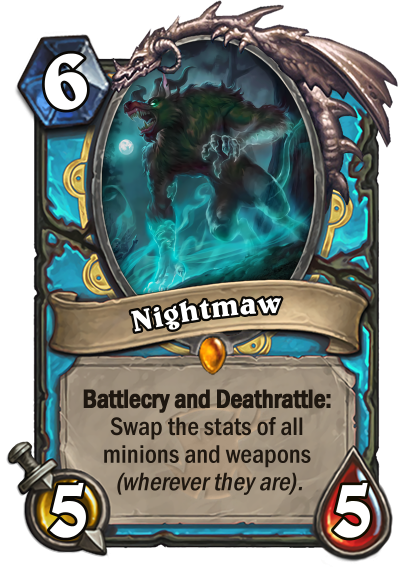 Nightmaw is to be used for a deck with high health minions for a big worgen-swapping effect. 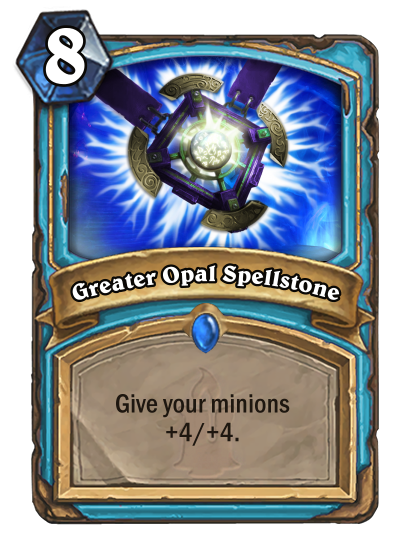 Well, I did make a spellstone, but I think this was for Cheese. I'll leave this as an example of my work! The original comes from here. That'll take about 6 hours overall I think. 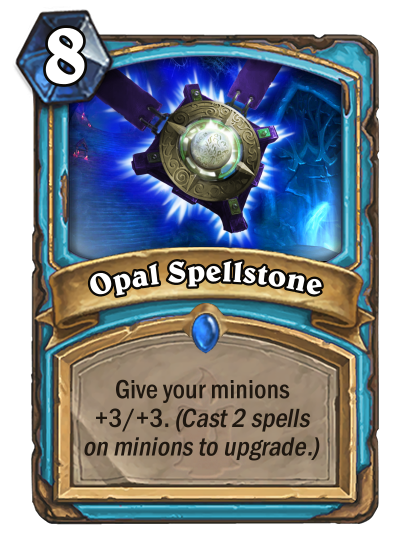 If, however, anyone else really wants to get some made-to-order spellstone art, give me some ideas and I might be able to help. A. I'm sorry you feel that way: it is not and never was my intention to ride the coattails of an established character to victory. If enough people feel slighted by this potential unfairness, I'll drop out. I don't want to do well based on nostalgia; I want to win because people genuinely like my class. I had an idea for the gameplay, and I connected it to a character I thought made thematic sense. I don't like making up a random character for a game like this; Blizzard would not have done it, so I did not either. B. After I created the thread/poll, I stopped looking at it. My pessimism is more deeply-rooted than that. 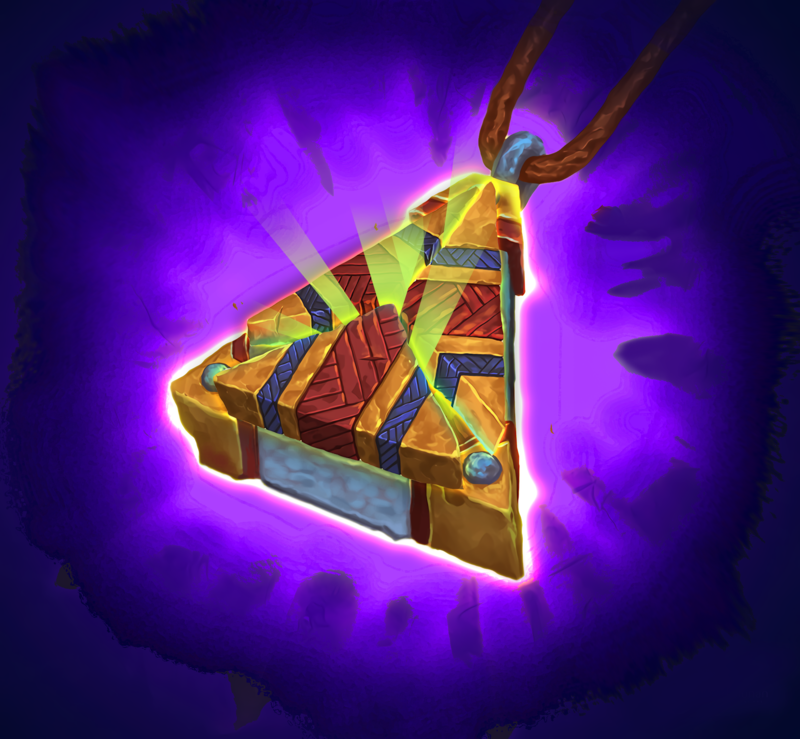 C. The weapon has an Attack value so you can bail out of the aura effect if things go south. Otherwise you would be locked in forever even if you're losing, which could be tantamount to assisted-suicide. I don't mean to demand anything of you – you're only a competitor after all, as are we all. 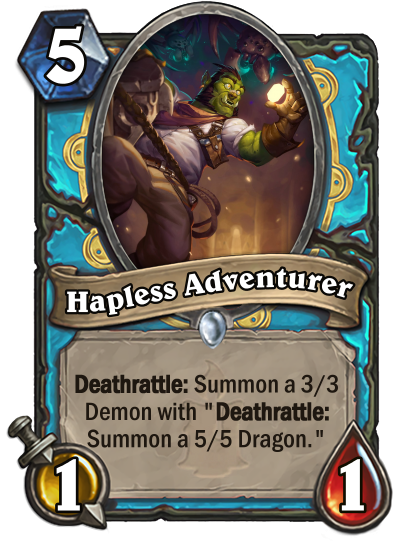 I feel like there's a slight influence given we've just gone through the Rise of Shadows reveal, and all the other villains have returned (except Nefarian and Rag). The 'atmosphere' in the community might have made people look at Lich more – but of course that's just speculation. I agree that using a lore-based character is preferable, and that lends credibility to the class. 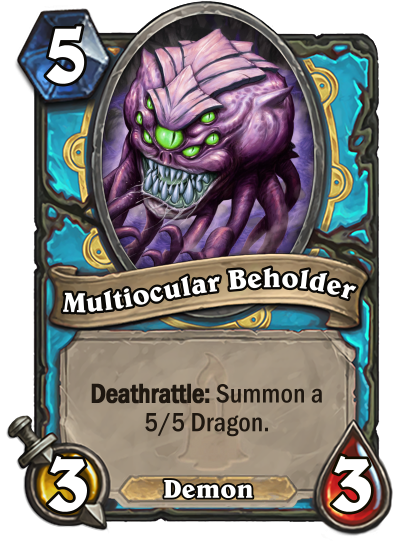 However, there's something to be said for the fact that Kel'Thuzad is in actuality a collectible card (despite any disclaimers like "This class would be released before Naxx so it wouldn't count"). 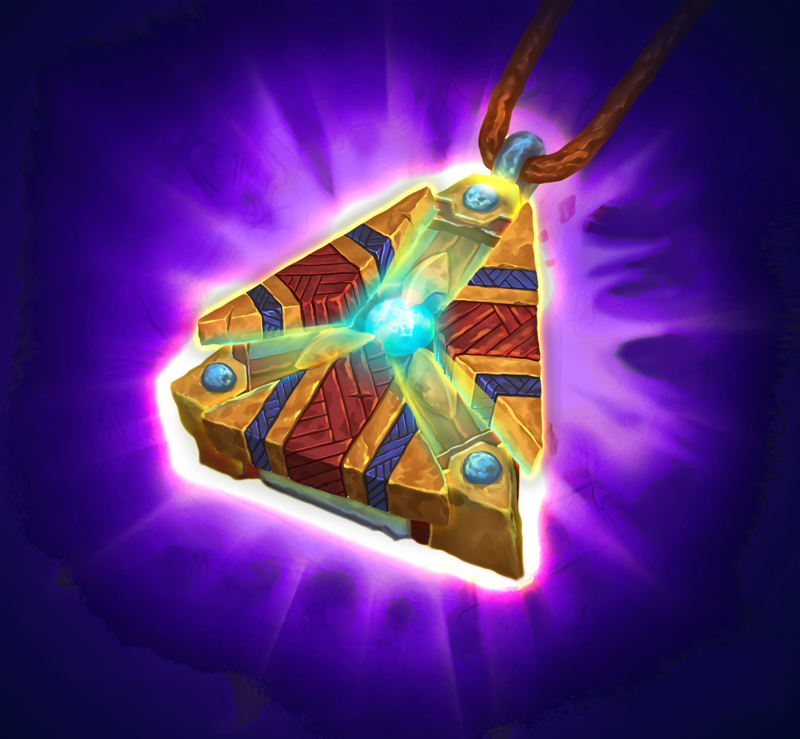 Essentially, there are no original heroes that are collectible cards, and you even have to try hard to find a new hero portrait that has a collectible behind it (Medivh was supposedly different from his Kharazhan version, Madam Lazul is as far as I know the only example – well, and now Khadgar). If I were to make a tinkerer class (which I sort of did but very poorly) and made the hero Tinkmaster Overspark instead of the obscure gnome I did use, I guarantee that there would be more interest in it. So I don't fault you for any of that, really. I apologize, because I worded that pretty strongly, and it was quite combative. Secondarily I have issues with how far ahead your submission was ahead of everyone else in poll #2 (literally double!) – but that's not up to me, that's up to the voters. Shatter's comment that yours was "miles ahead" doesn't really ring true to me, but that's just an opinion as well. 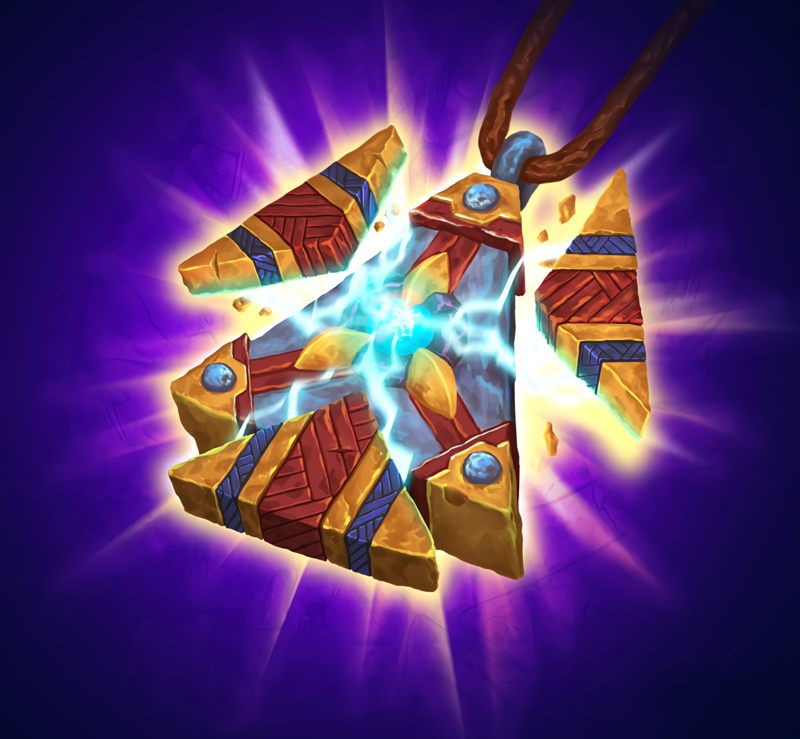 teknician posted a message on From Hearthpwn to HearthStation? As long as there are NO community card creation contest shite there, I'm completely fine. You sound like the kind of person to get upset over someone on your Facebook news feed posting something you're not interested in: it has no appreciable effect on you, it's obviously important to the person or people interested in it, but you can't stand its existence because you're so focused on your enjoyment and your enjoyment alone (imagine being so attached to a community forum that you can't ignore any part of it because it is that important to you). I have to say I'm extremely surprised by poll #2. @ linkblade: obviously you could see how the poll was turning out before it ended, but I'll take you at your word lol. 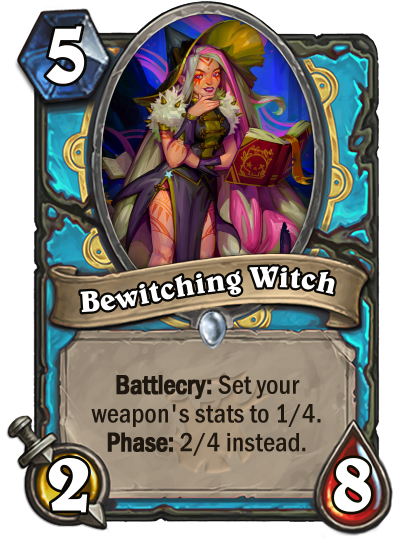 As for the weapon, you might as well make it a 0/3. That's an aura effect. On a legendary weapon. Why does it have attack? 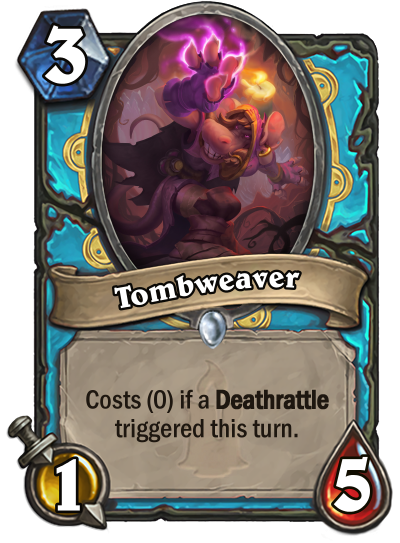 I'd go for a triggered effect, but I wouldn't go this route. Do the results of this poll get released before the second poll ends or are they released concurrently? So it's 48 hours for each poll I'm guessing...?